Jim Girard (1879-1952) worked with trees his whole life – from his youth making whiskey barrels in the hills of Tennessee to his esteemed position as Chief of Forest Surveys in Washington D.C. 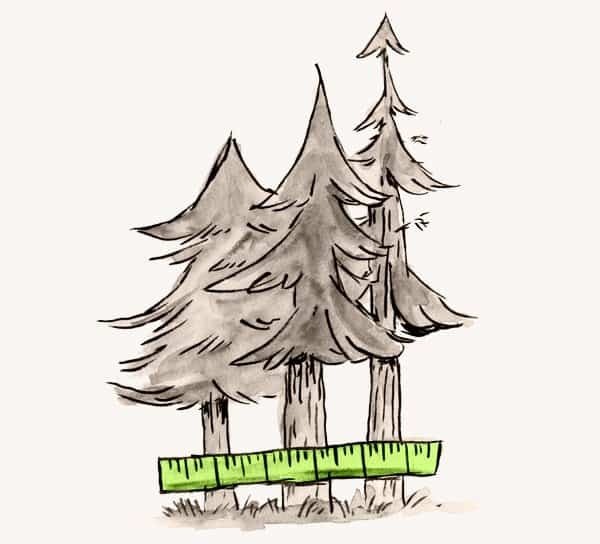 He was a timber faller and timber cruiser who became a legend in the U.S. Forest Service for his innovative and accurate timber measuring techniques. Girard was an advocate for sustained-yield forest management and after his retirement joined the forestry consulting group Mason, Bruce and Girard. He is known as the patriarch of national forest timber cruising and his point system to measure tree size is still used today. What is a timber faller? 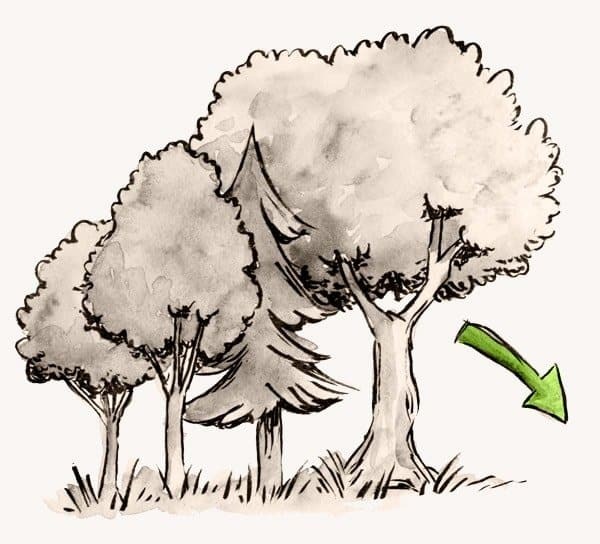 A timber faller cuts down trees, taking care to control the direction of the fall in order to minimize damage to other trees. Becoming a timber faller requires special training to identify falling patterns and to learn which trees to cut and which to leave. A timber cruise is a sample measurement of a stand used to estimate the amount of standing timber that the forest contains. The measurements are collected at sample locations called plots, quadrants, or strips. A timber cruiser can then use the data to determine the amount of marketable wood in a given area. Jim Girard during his time at Herrick Lumber Company. 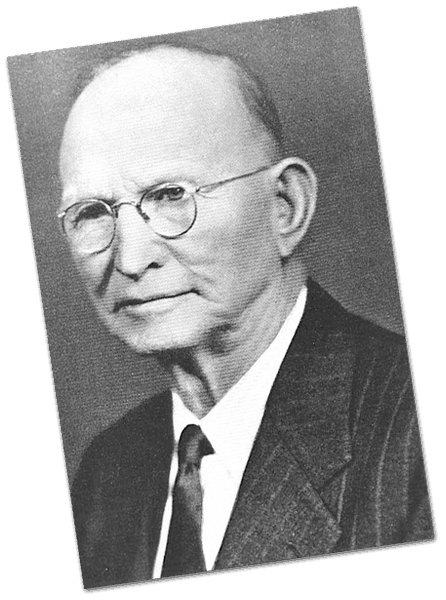 James Walter Girard was born in Pleasant View, Tennessee on May 4, 1879. He was part of a large family with 10 children and stopped attending school in the sixth grade. By the age of 15, he had made his way north of Knoxville and found work making whiskey barrel staves for $0.75 a day. When Girard learned he could make $150 a month as a timber cruiser, he taught himself the trade. When Girard learned he could make $150 a month as a timber cruiser, measuring standing timber, he taught himself the trade – first by creating measurement tables for the logs used to create whiskey barrel staves and other various wood products at his job. He compiled his work into an exhaustive volume in 1897; it was the 2nd timber volume table ever produced in the United States. 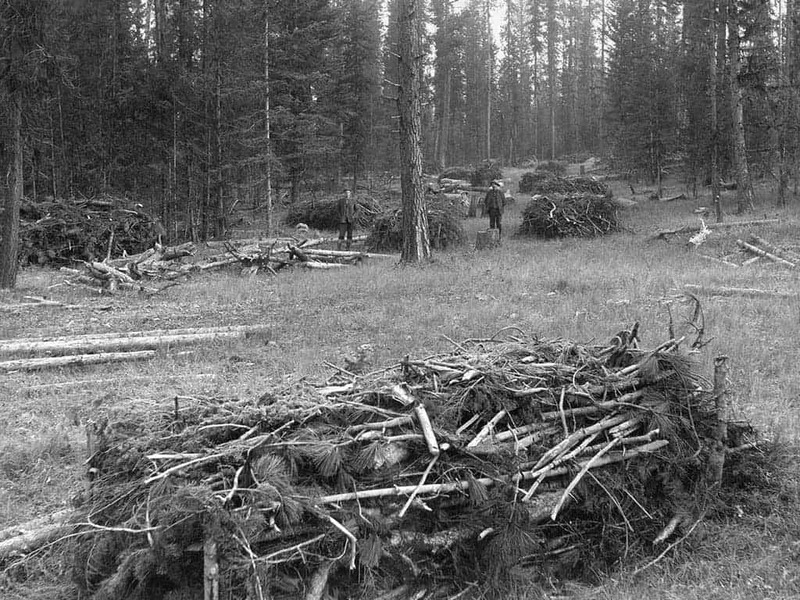 The Big Blackfoot Timber sale was one of the first sales of timber on national forest land and involved over 50 million board feet. By the age of 20, Girard was cruising timber for several sawmills in Wyoming, Idaho, Indiana and North Dakota. In 1907, he became a timber faller, cutting trees for the Anaconda Copper Mining Company near Missoula, Montana. At the same time, Girard was taking correspondence courses in English, engineering, business administration and cost accounting. 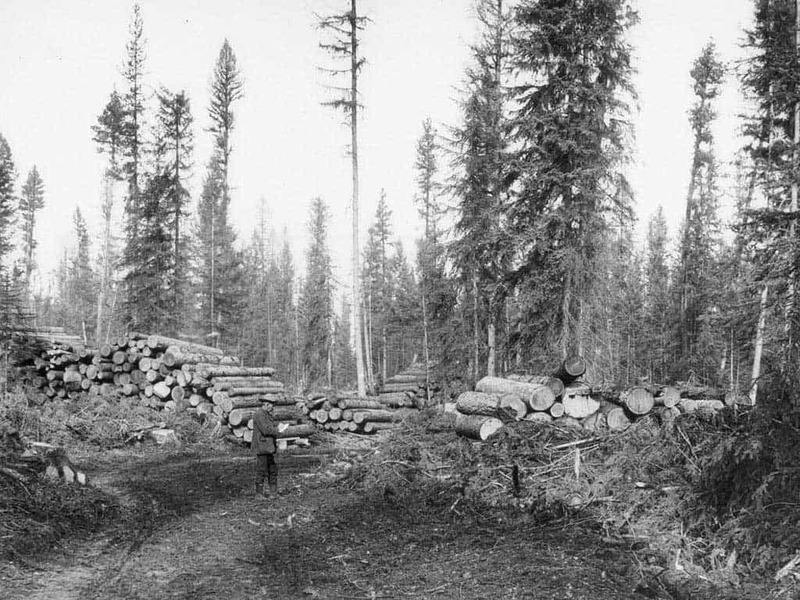 In winter 1908, he joined the U.S. Forest Service, scaling logs and marking timber in Seeley Lake, Montana for what became the largest timber sale the U.S. Forest Service had made at the time, 50 million board feet. The sale was so vast that foresters from schools like Yale and Michigan State went to gain experience in timber sale work. Girard trained many of the new arrivals. After the Big Blackfoot Timber Sale, Girard became a forest guard on the Lewis and Clark National Forest. He advanced quickly through the U.S. Forest Service ranks, becoming a forest ranger and in 1915, a logging engineer. Because of his knowledge in timber cruising, Girard was given special assignments throughout the Pacific Northwest. While on assignment in Washington, D.C. in 1921, he rewrote the U.S. Forest Service Timber Appraisal Manual, which set guidelines for timber sales on national forests. Having worked in the private industry and the U.S. Forest Service, Girard used his expertise in calculating log production (felling trees, skidding, disposing of slash) to create a points system that is still used today to assess a tree’s size. 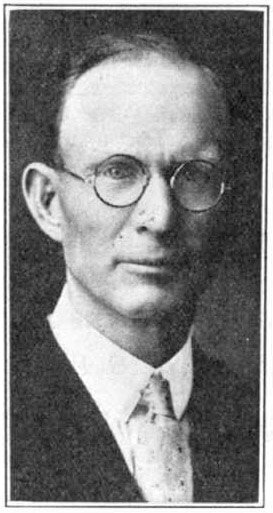 Girard took a break from the Forest Service from 1923-1929, becoming vice president and general manager for the Herrick Lumber Company in Burns, Oregon. He returned to the trade as a senior logging engineer in Washington, D.C. 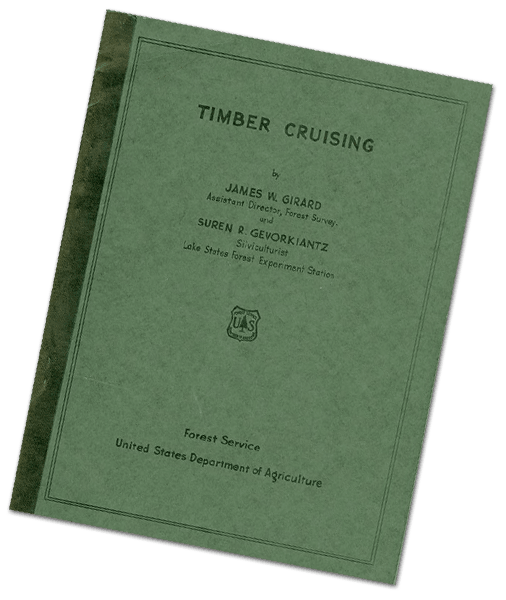 In 1939, he co-authored the book Timber Cruising, which became the best book on standing timber measurements for its time. 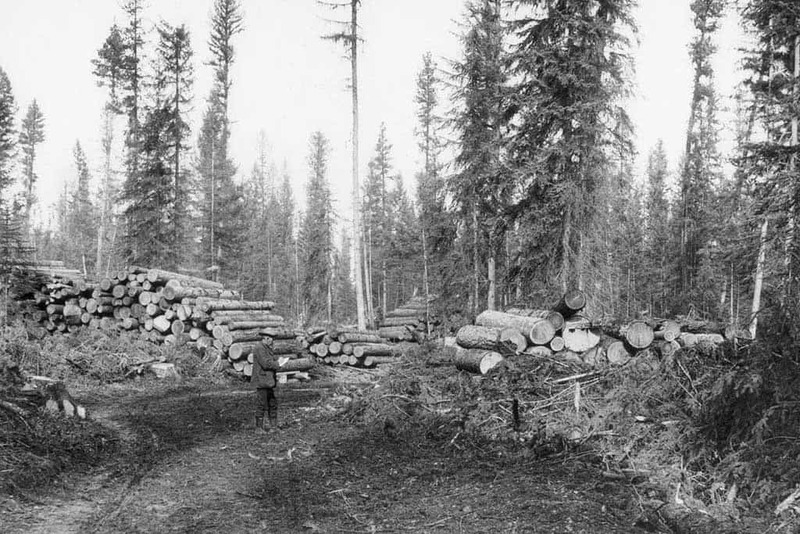 In his new job as Chief of Forest Surveys, Girard was tasked to determine the timber volume of the entire United States – its harvest, growth and projected demand. Over the next 12 years, he developed new sample methods and prepared volume tables for tree species throughout the country. In 1939, he co-authored the book Timber Cruising, which became the best and most practical book on standing timber measurements for its time. In 1942, as the United States prepared to enter World War II, the U.S. War Production Board asked Girard to go to Alaska and find suitable trees for making high-grade aircraft lumber. Girard again established sampling methods and procedures to find suitable wood. 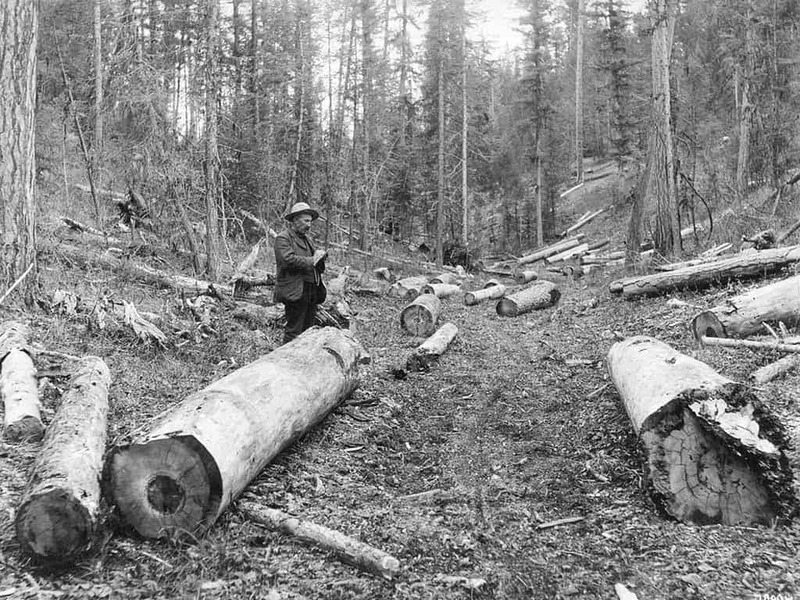 By the end of the war, the Forest Service had provided 85-million board feet for production from Alaska’s national forests. During this time Girard also surveyed the Dominican Republic for possible wartime forest resources. Mason, Bruce & Girard, was founded in 1921 by David Mason. Mason was an early crusader for sustained-yield forest management – the harvesting of trees on a schedule to insure replacement and regrowth. In 1936, he created a partnership with Donald Bruce, forming Mason & Bruce. In 1945, Jim Girard joined the firm and adopted its present name Mason, Bruce & Girard. Together the firm provided forestry consulting that became sought after and most influential. Today, Mason, Bruce & Girard has three lines of business: forestry, environmental, and geospatial services. 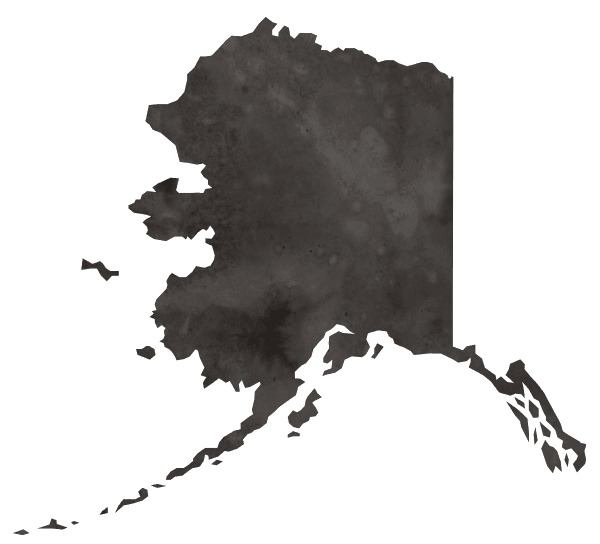 They are a full-service natural resources consulting firm headquartered in Portland, Oregon and have offices in California, Idaho and Colorado. While foresters still rely on the log volume tables created by Jim Girard and Donald Bruce, the firm continues to develop science-driven services and technologies for the environment. The Jim Girard Memorial Grove near Seely Lake, Montana. Jim Girard retired in 1945 after 35-years in the U.S. Forest Service and joined the prestigious forestry consulting firm Mason and Bruce in Portland, Oregon – becoming Mason, Bruce and Girard. In 1948, at the age of 71, the Chilean government asked him to survey their forest resources. A year later he wrote a short 35-page autobiography called The Man Who Knew Trees: The Autobiography of James W. Girard. Girard died in 1952 in Portland, Oregon at the age of 75. The U.S. Forest Service recognized his years of service with a 60-acre memorial grove near Seeley Lake, Montana, where he had begun his Forest Service career. Today, he is regarded as the patriarch of national forest timber cruising and his techniques and theories have been adapted to modern technology. 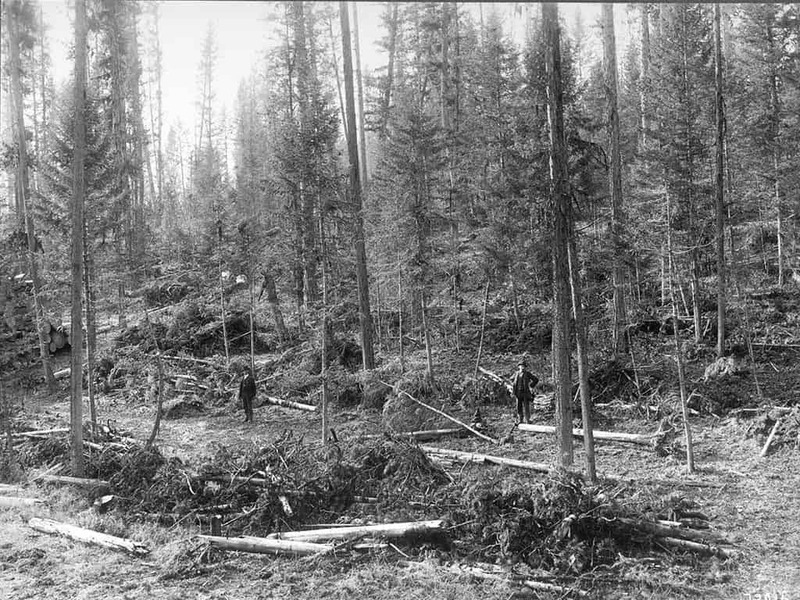 The Big Blackfoot Timber Sale was one of the first sales of timber on national forest land – an estimated 50-million board feet were sold to the Big Blackfoot Milling Company and a majority of that timber came from land just east of Seeley Lake, Montana on the Lolo National Forest. 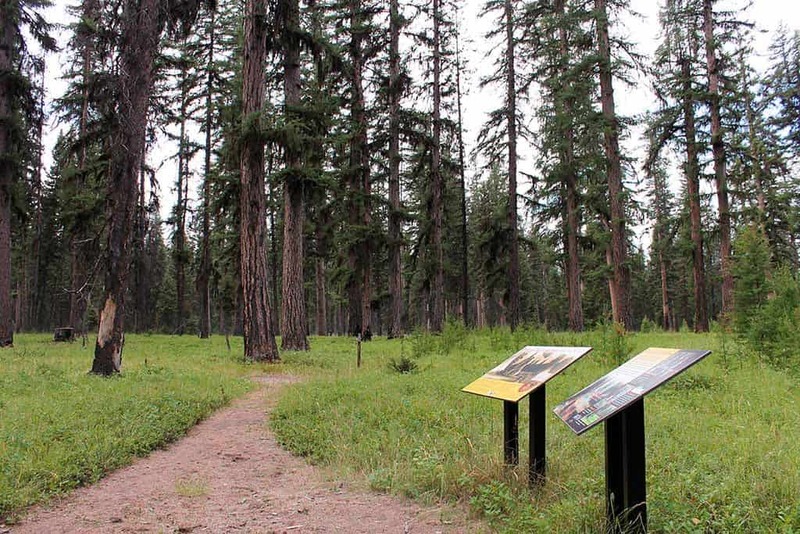 In 1953, the U.S. Forest Service dedicated a 60-acre old growth grove of Western Larch, also known as tamaracks, near Seeley Lake, Montana as a memorial to James W. Girard. Girard had a fondness for the Western Larch and his grove is special, in that many of the trees are 600 years or older.